If we are only ever grateful for that which we enjoy or love or can see the eternal good in, we aren’t really thankful. We’re merely counting our blessings. True gratefulness means seeing and trusting and believing entirely that what comes our way is God's good and best will for us. It means trusting—really trusting—that if we don’t have a thing we desire, we aren’t intended to have it today. It doesn’t mean we can’t still long for it, hope for it, and ask our Father for it (and we should), but it does mean the troubles we face today are sufficient for today. And the manna we have been given for today is enough for the day. 1. Read 1 Thessalonians 5:16-18 together. 2. What can’t you thank God for? What circumstance are you currently walking through that you are refusing to give thanks for? 3. What are you waiting for? What is holding you back from freely and fully giving thanks? 4. 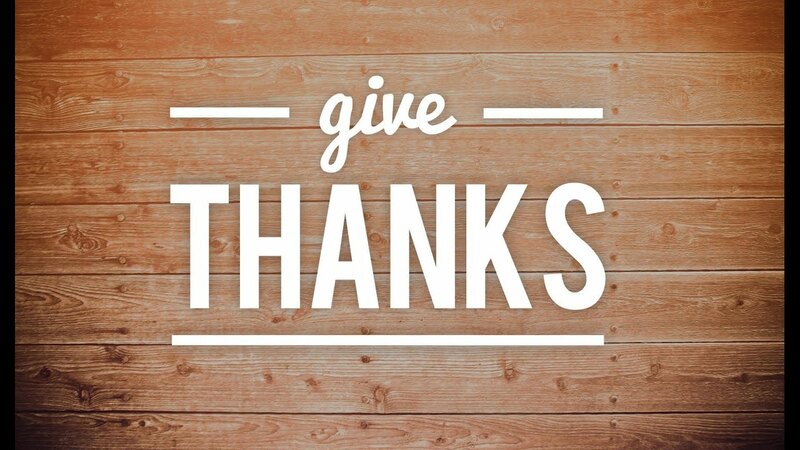 Will you give thanks? Will you trust God and give thanks in the middle of your circumstances? 5. Share what the Lord is doing in your heart right now and take time to pray for one another. Continue to give thanks.... no matter the circumstance.